Scientists at the University of Southampton are to investigate why people from South Asia are more likely to develop heart disease than people from Europe, following new funding from the British Heart Foundation (BHF). Professor Caroline Fall at the Medical Research Council Epidemiology Unit (MRC LEU), University of Southampton, has been awarded £654,000 to look at what influence a person’s growth in early childhood has on their risk of heart muscle disease as an adult. Previous studies have shown that children who have a lower weight at birth and in early childhood are more likely to have risk factors for heart disease, such as high blood pressure and diabetes. But what isn’t known, is whether a child’s health in early life directly leads to problems and abnormalities with the heart muscle. Working with scientists in Oxford and India, Professor Fall and her team will use ultrasound scans – echocardiograms - to look at the structure of the heart and heart valves in 3,000 adults. All the participants in the study were part of a previous research project which began over 40 years ago, allowing scientists to make observations about health in childhood and heart problems in adulthood. Professor Fall said: “South Asian people have a higher risk of heart disease, but we don’t fully understand why that is. 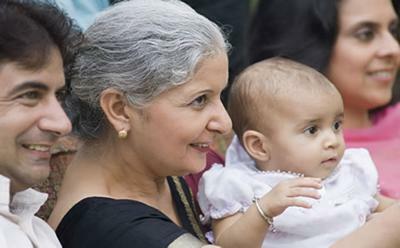 “Past research suggests that there is a link between the health of a child in the womb and heart abnormalities as an adult, but it remains a theory as there haven’t been any studies with South Asian people. Professor Jeremy Pearson, Associate Medical Director at the BHF, said: “This research could have important implications for monitoring and improving the nutrition and growth of children before and after they’re born to give them the best chance of having a healthy heart in later life.